We are an interior design & build company who work with a number of commercial & residential clients. We range from purely interior design, redesigning an interior space to surveying buildings for building regulations etc. We can offer just one service or the whole turnkey solution with a skilled team made up of interior designers and an architect. I'm obsessed with Home decor, mainly dark, moody hues. No corner is left untouched. For me it's all about the detail. I try to create spaces that feel cosy, cool and lived in while adding touches that normally get overlooked to create a home that you'll never want to leave. My style is all about stepping out of your comfort zone and pushing boundaries to take your space to the next level. I work with holiday home owners to create a gorgeous, stylish holiday home they can be proud of, and charge more per booking! Interior stylists or interior decorators in Newcastle upon Tyne, Tyne & Wear will be able to help you position furniture, choose colour schemes and select accessories so that your rooms and home decoration will be picture perfect and guest-ready. What types of project should I hire Newcastle upon Tyne, Tyne & Wear interior stylists for? 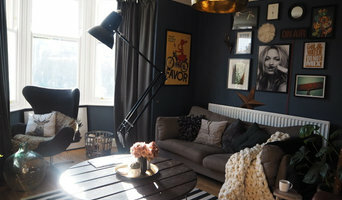 What should I ask prospective Newcastle upon Tyne, Tyne & Wear interior stylists? Find interior stylists on Houzz. 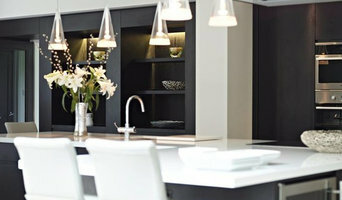 Narrow your search in the Professionals section of the website to Newcastle upon Tyne, Tyne & Wear interior stylists. You can also look through Newcastle upon Tyne, Tyne & Wear photos by style to find rooms and home decoration you like, then contact the interior decorators or stylists who styled them.